Now that 2012 has come to an end and 2013 is newly beginning, I'd like to reflect on the many blessings, challenges, and lessons 2012 brought my way and what I am looking forward to in 2013. 2012 was a year of many challenges but also of many blessings. I started off the year with great sorrow and pain over losing one of my best friends. I still can not believe he is gone. However, just 3 months later, I was filled with great joy as I was blessed with the birth of my second beautiful baby boy, Joshua (whose middle name, Ezequiel, is the same as my friend's). I struggled with crazy contractions and false labor alarms towards the end of the pregnancy but ended up having another perfectly beautiful natural birth. 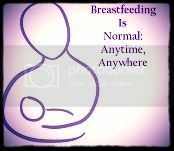 Once again, I had breastfeeding challenges but nowhere near as much as I did with Daniel. I had much more support this time around, as well as more knowledge and personal experience and, in no time, Joshua and I developed a strong bond and a beautiful nursing relationship. Daniel was able to be present for Joshua's birth and, although there have been many struggles for him as well, it has been great to watch him evolve into such a great big brother. He had his own nursing struggles at first but I am proud to say that I have been tandem nursing the boys for a little over 6 months now. They have developed a beautiful bond. They each have trouble falling asleep without the other and now enjoy playing together. They really love each other and Daniel loves to share things with his brother and teach him how to do things. He does get jealous at times, of course, and we have had our share of struggles with not wanting to share, insisting on being in a high chair at times and other similar situations, but, overall, he is a great big brother and has adjusted beautifully. I struggled greatly with transitioning from being a mother of one to a mother of two babies under two at first, and still have many challenges, but I have grown and learned a lot this year. While I couldn't even imagine getting us all ready and heading out at first, I now regularly go out alone with the boys. We have developed our own rhythm although most of my time is spent multi-tasking in order to get anything done. Being that they are both so young and still nursing, I still struggle a lot with needing "me time" and becoming overwhelmed but, for the most part, we are doing okay. This year has also challenged me greatly when it comes to discipline as I watched Daniel go from a baby into a full blown toddler and encountered all of the challenges that naturally come along with this stage in life. I am learning to be a gentle parent every day and feel that I have made some progress but still have a long way to go. It has been wonderful to watch my boys grow. Daniel started out the year as an infant and is now the epitome of a toddler. he speaks in long, complete sentences and used complex words. he absorbs language like a sponge and can speak and understand both English and Spanish. he memorizes lines from books and we are now reading chapter books at his request. He can now effortlessly climb up all our furniture and was fully potty trained before his second birthday! He is just such a smart and sweet little person now. As for Joshua, I feel like time has gone by so fast! He went from being a quiet little newborn to being a super busy 8 month old. He is now crawling all over the place, pulling himself up on furniture, and imitating all kinds of sounds and actions. He has two little teeth and is enjoying eating all kinds of food. He really loves playing with Daniel and I believe he thinks Daniel is the funniest person on Earth. He has blossomed so quickly into a sweet, smart and persistent little person. I can't believe that, in less than 4 months, he will be one! Where has all the time gone? I am so thankful for each and every moment that I have spent with my two beautiful boys. I am so blessed to be their mother and to be entrusted with the best job ever, teaching them and guiding them as they become amazing little people! We had many difficult financial times this year but have also received much support and received many blessings. We moved into a bigger and much nicer apartment and were blessed with a second car. My husband opened his own water treatment company, United Environmental Solutions, which has steadily been growing. This, of course, means that he hasn't had much free time. This year has also brought new challenges to our marriage. We hardly have time for each other and we definitely don't have much time left for breaks. It has been a challenge but we are still going strong, holding onto the hope that our children will be older and need us less one day and the business will not demand as much of his time once certain things are in place. We have gained tons of knowledge of Scripture this year and a lot has changed in our lives because of it but still have not found a home church. We also made some changes to our eating habits this year, eliminating soda, reducing processed foods and adding whole (organic when possible) foods. I have lost a ton of weight this year and I am way below my pre-pregnancy weight. In fact, i haven't weighed this much (or this little?) in at least 4 or 5 years! Unfortunately, due to unforeseen circumstances, my breastfeeding project has not yet been completed. I also did not become certified as a breastfeeding counselor or childbirth educator this year. Both the Bradley training I wanted to attend and a Certified Lactation Counselor training that I would've had the opportunity to attend for free happened to to fall just a week after Joshua was born. I have not lost hope though. I am certain that the right opportunities will come for me at the right times and I will one day be certified. For now, I will continue to educate others through my blog and Facebook page and will continue to help any pregnant and breastfeeding moms that come my way. Thanks to my mother in law, I am now taking an online Montessori training and am preparing to home school the boys for pre-school. We are in the process of setting up our classroom and obtaining Montessori materials and I am very much looking forward both to learning from my class and to teaching the boys. Although I haven't always had time to post on this blog, it has grown significantly this past year. Thank you very much to all of you who have been faithful and patient with me, have followed my blog and liked my Facebook page, and stuck with me even during the times when I have been too busy to post. I hope to have much more time to write this year and to see this blog grow exponentially. I plan to include my spiritual beliefs in my posts a little more this year and also plan to write about our whole foods journey, some recipes, and our homeschooling journey as well as expanding on my current natural parenting topics. I also plan to bring you more review, giveaways and other fun stuff this year so please stay tuned to this blog and my Facebook page! I am very thankful for the many blessings listed above as well as the fact that my family is healthy and we have God and everything else that we need. I am very excited to see what 2013 hold for us. I am looking forward to watching my babies grow, embarking on our home schooling journey, watching our water treatment business and this blog grow, seeing my marriage get stronger, learning much more about Scripture and watching my relationship with God grow stronger than ever! I would like this year to be the year that I have a total paradigm shift, a total mindset change, a total transformation, once and for all. 2013, I am ready and determined! May this be the year that I finally do everything in my power to overcome past hurts and hangups, work towards being the mother and wife that God wants me to be and allow His grace to do the rest! I will strive to practice gratitude this year and will be be filling a jar with notes on all the blessings and good times we have this year and we will spend New Year's Eve reading over all these notes and thanking God for all the good that has come our way. Happy New Year to all of you. 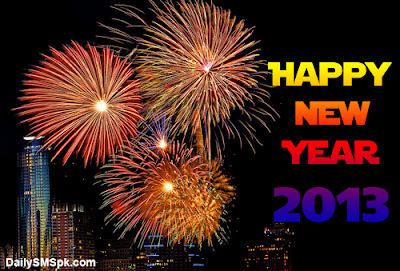 I hope you had a great time ringing in the new year with your friends and family last night. We definitely had a blast. Both boys were up at midnight and we had a prayer and communion, then we made noise with the noise makers we made earlier in the night, blew bubbles and had a toast with sparkling white grape juice, then we headed home from my parents' house to go to bed, watching fireworks along the way. I hope all of you had an equally good time. May this new year bring many blessings and new opportunities to each and every one of you and thanks again for all of your support! What a beautiful post and woman you are, Taisha. I'm so proud od you and Dan, and am behind you all the way!